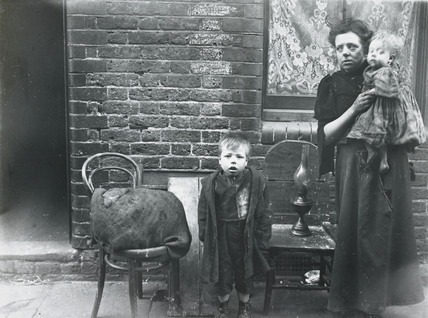 We’re really happy to announce that LoveBethnalGreen.com is working with London London College of Communication (LCC), giving students from their BA in Journalism the chance to come and immerse themselves in some east end greatness. 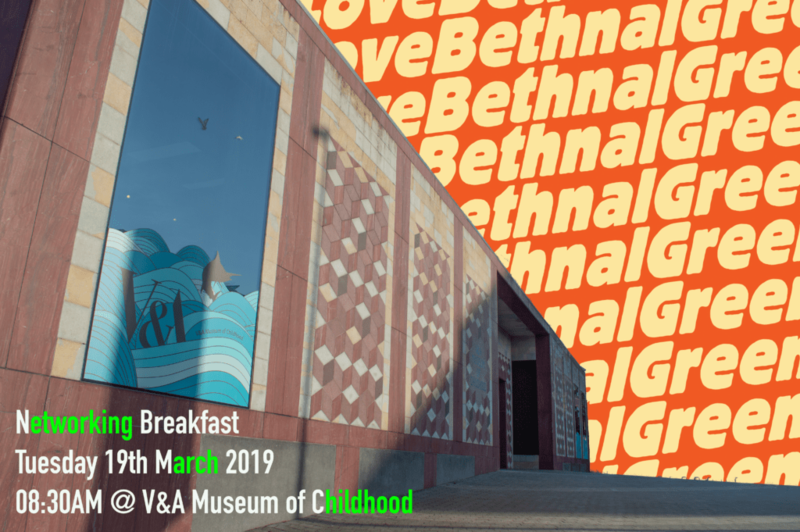 LoveBethnalGreen.com is an excellent vehicle for supporting the varying elements of life in E2, and this winter, we’re gathering fresh perspectives on Bethnal Green, with young writers pitching stories that shine a light on life in the area. This could come in the form of an interview with a local hero, a favourite place to eat in profile, a contemplative piece on the changing face of Bethnal Green, or a deep dive into the history of pie and mash. However our young writers have approached this, they’re aiming to shine a positive light on the area, giving some profile to its myriad characters and cultures. This year we have had some lovely additions to the Bethnal Green Road shop front festive decorations. 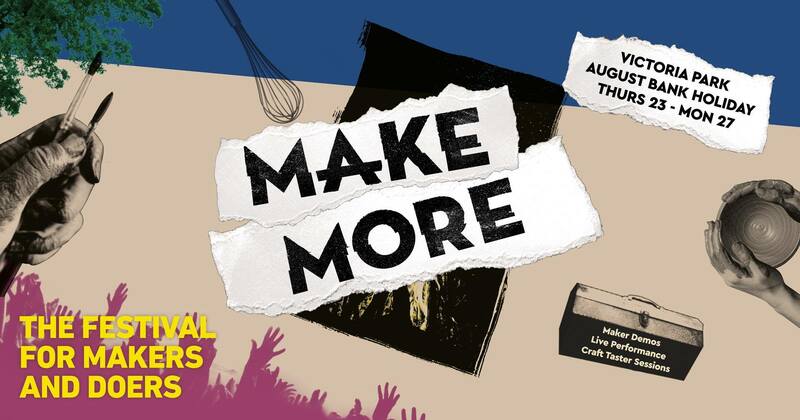 Ten of our businesses worked with designers make:good to create an East End Garland that is unique to them and celebrates the tools of their trade. To explore what makes the businesses on Bethnal Green Road unique, make:good asked them ‘What are the tools of your trade?’ and ‘What can’t you do your work without?’. The responses were as diverse as the businesses they visited, and they photographed these collections of objects before creating drawings of them and transforming them into a set of unique festive decorations. 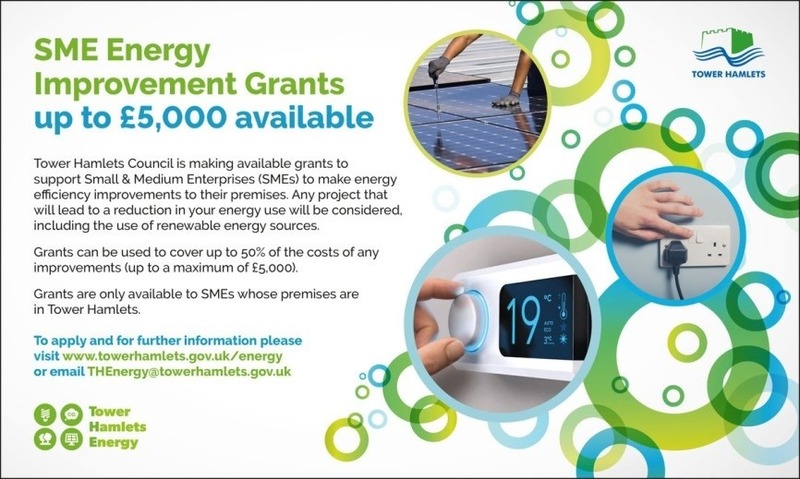 All of this work was supported by Tower Hamlets Town Centre Team. Earlier this month Trustees of the Stairway to Heaven Memorial Trust saw the arrival of the teak stairway in Bethnal Green Gardens, 11 years after the Bethnal Green Memorial was originally proposed. The solid teak structure will soon be craned into position next to the Bethnal Green station entrance stair where the disaster took place back in 1943. The stairway has 173 conical lightwells cut into its roof plane, representing each of the individuals that died in the disaster nearly 75 years ago. The surnames of each of the victims are carved into the teak on the external faces of stairway. The stairway was fabricated by The Greenoak Carpentry Company with cnc engineering by Solutions in Wood, having been designed by Bethnal Green practise Arboreal Architecture. The Green will meet for its next meeting on Tuesday 21st November at 6pm at Oxford House. We are very pleased to announce that we will be joined this time by author and archivist, Gary Haines. Gary published a book back in 2002 through Images of London. The publication, entitled “Bethnal Green”, is part of a series that uses old photographs and archived images to show the history of various local areas in England, through their streets, shops, pubs, and people. 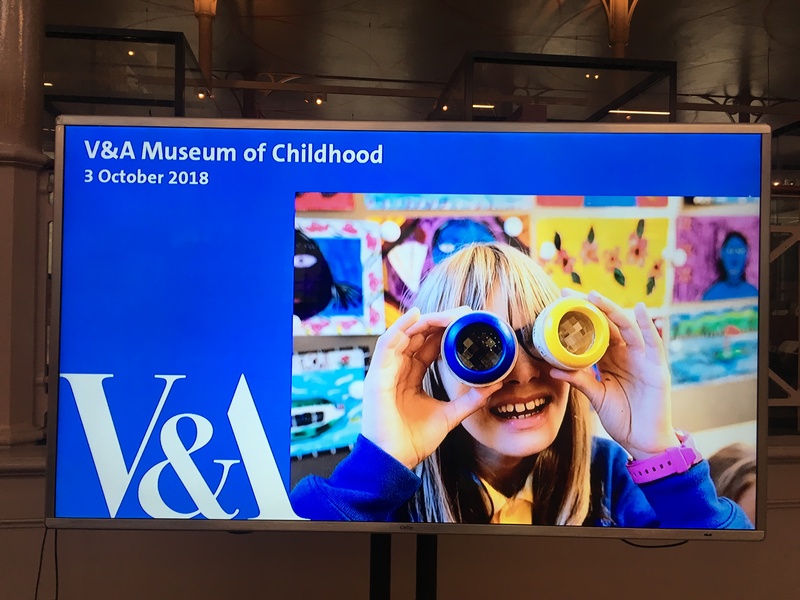 By day, Gary is Archivist at The V&A Museum of Childhood, so we’re really looking forward to hearing about his work, as well as his connectivity with and passion for the area. 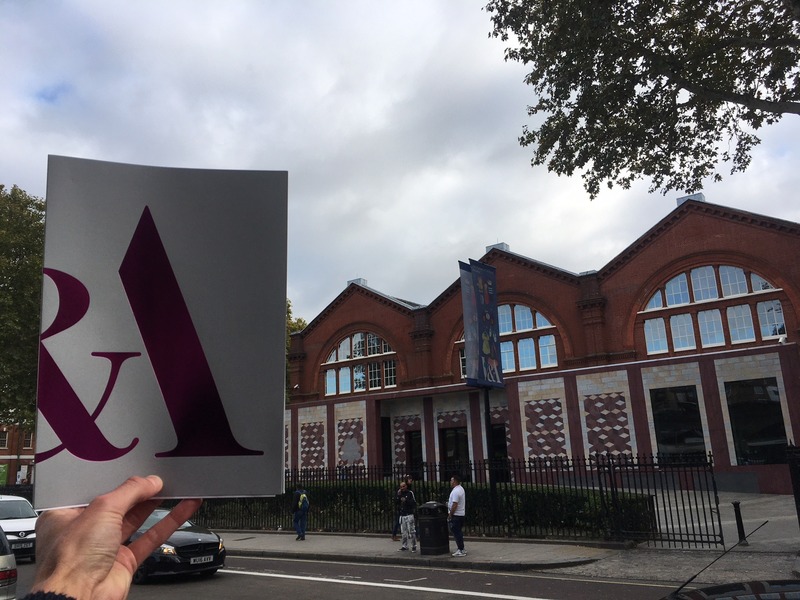 We look forward to seeing you at Oxford House, 6pm, Tuesday 21st November. We want to shine a light on local businesses & organisations in the run up to Christmas, to encourage greater footfall & a more successful Christmas period than ever before for Bethnal Green. If you have promotions, discounts, events or deals that you’d like us to shine a light on, please let us know by sending them over to us at bethnal.green@oxfordhouse.org.uk by Monday 20th November so that we can promote them throughout the festive season for you. If you do not have any promotions running yet, but would like some, let us know and we’ll come and help you develop some ideas for what we hope will be a happy, healthy & successful Christmas period. 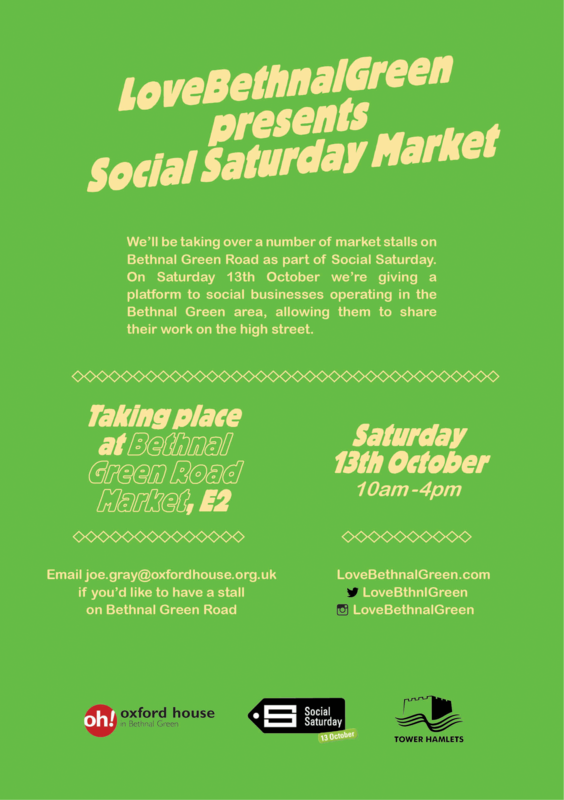 Every month, Oxford House invites local businesses, residents and community groups to a meeting known as “The Green”, with the aim of encouraging the community to shape up its own ideas for the high street in Bethnal Green. Our next meeting will be held on 24th October at 6pm. We’re delighted to say that we’ll be joined on the 24th by Sandra Scotting from the Stairway to Heaven Memorial Trust. Sandra will be talking to us about progress on the new memorial, commemorating those who lost their lives in the Bethnal Green disaster of 1943. To be up to date about The Green news, subscribe to our e-newsletter here.